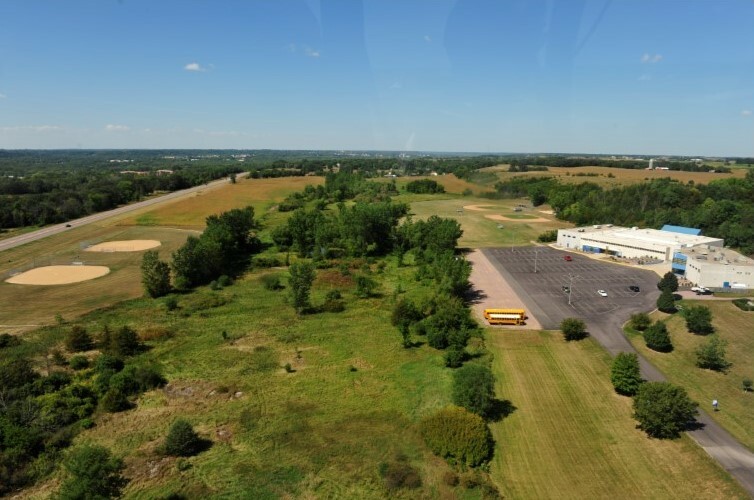 MVL is located three miles east of New Ulm on Highway 14. Our campus of 77 acres provides us with room for two softball fields, two baseball fields and a football field. Just recently, we added a 1 mile running trail that goes around our campus. The original building was dedicated in 1981. An addition was built in 1995 that now houses our Commons, main office, music room, media center, classrooms and computer labs. Then, in 2007, we added onto our building on the west end. We added locker rooms and storage space on the first floor and then two art rooms upstairs that provide us with room for drawing, painting and ceramics. A large classroom was also included. We also added a fitness center in 2007 that is housed in a separate building behind the school. Physical education classes are held in that facility and it’s also used by many of our sports’ teams. As we look into the future, we are considering adding classroom space and potentially, a fieldhouse. As we plan for the future, we do so knowing that God will continue to bless our ministry! We are blessed with a facility that is very functional and well maintained!